As an employer, it’s important that you have a staff of people who are motivated and feel appreciated for their hard work. One of the easiest ways to motivate your employees and make them feel appreciated is by praising and rewarding them for a job well done. However, praise can backfire if you don’t go about it in the right way. 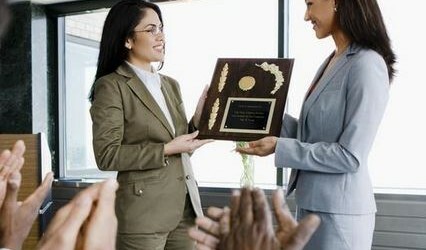 To keep your staff happy and feeling appreciated, here are some tips on how to reward and praise your employees in a way that works. Your employees can tell the difference between praise that is forced and phony from praise that is sincere and from the heart. When you praise your employees, be specific in what you compliment them for, to demonstrate that your words are sincere and honest instead of canned and routine. Charles Bouri, the general manager of Seabulk, suggests complimenting a specific project or skill rather than using general compliments like stating they are valuable or they have done good work. The difference between authentic praise and false praise is incredibly important and meaningful. If your employee does something truly great, don’t wait a week to bring it up at a meeting. It only takes five minutes or so to fire off an e-mail, but praising an employee immediately after an excellent performance is a great way to demonstrate that their good work was actually noticed. This will also encourage other employees to step it up because they realize that their work s noticed. Providing your employees with actual rewards, such as gift cards, is a phenomenal way to thank them for a job well done. It may seem like an added expense, but if an employee goes above and beyond to receive a physical reward, the added expense will be worth its weight in gold. You don’t have to spend a fortune either. A 10 dollar gift certificate from a nearby popular lunch place is simple, but an extremely nice gesture. If you praise an employee once, you might see improved performance from them afterward, but that won’t last forever. To keep motivation and morale high, it’s important to consistently praise your employees when they do a good job. Feeling valued for good work is the best incentive to continue to work hard and produce great results. Bringing up good work in you weekly company-wide e-mails or memos is an easy way to make regular praise a part of your routine as an employer. If you follow these tips, you’ll have a staff that feels appreciated. And an appreciated staff is a motivated, hard-working and productive staff.